ECONOMISTS are prone to hedge their bets. When asked for an opinion, they are habitually two-handed. Their usual refrain is, “on the one hand, but on the other”. So much so, Harry Truman, the 33rd president of the United States, thundered in frustration: “Give me a one-handed economist.” Let us see if we can clamber off the economic fence regarding the much debated Goods and Services Tax (GST). Admittedly, the GST was repressive and hit the poor the most. Notwithstanding, it broadened the tax base as only one in 10 pays income tax. Sadly, the GST has been made the whipping boy for the escalation of the cost of living. Empirically, a consumption tax such as the GST only causes a one-off spike in inflation. And, over the years the inflationary trend is relatively lower than without the GST. However, the timing was inauspicious. When it was introduced the GST was at the confluence of other inflationary forces. Economic recovery globally caused prices to trend upwards. Japan and Europe were getting out of their stagnation. The US was also on a growth, and hence inflationary, trajectory. Ringgit depreciation compounded imported inflation. As two-thirds of intermediate products are imported, that worsened the cost of final manufacture. And, the nefarious profiteering by businesses ignited this tinder. Like a rocket-firework shooting up when lit, so did the cost of living soar. All this is now water under the bridge. The Pakatan Harapan government has demonstrated honour in keeping its pledge to abolish the GST even as critics berate it for being ham-fisted. Critics argue that the soon-to-be-reintroduced Sales and Services Tax (SST) is inferior to the GST. It will not enrich the government coffers as much as the GST did. It may even fuel another round of inflation. The government has acknowledged the envisaged revenue shortfall between GST and SST collections to be RM14 billion. It is confident that it can meet this yawning revenue gap through savings from administrative restructuring and from plugging mismanagement, waste and corruption. Let us do the maths. If the government can squeeze a five per cent saving from its annual budget, which is highly plausible given the government’s verve to eke out savings, that will constitute RM 14 billion — just nice to compensate for the revenue deficit. Transparency International Malaysia estimates that the government lost close to RM50 billion through corruption last year. A one-quarter reduction in corruption from, among others, the elimination of directly negotiated and limited tenders will yield enough to close the revenue shortfall. What has escaped the unfolding debate on GST abolition is that what is loss to the government in revenue is gain to consumers by way of additional income. Consumer spending will be boosted to that extent. It will have an emollient effect on the economy. We should also not forget that oil prices are hovering at US$77 a barrel. That is US$25 more than the price projected in preparing the 2018 budget. The government stands to make RM300 million for every dollar rise in fuel prices. 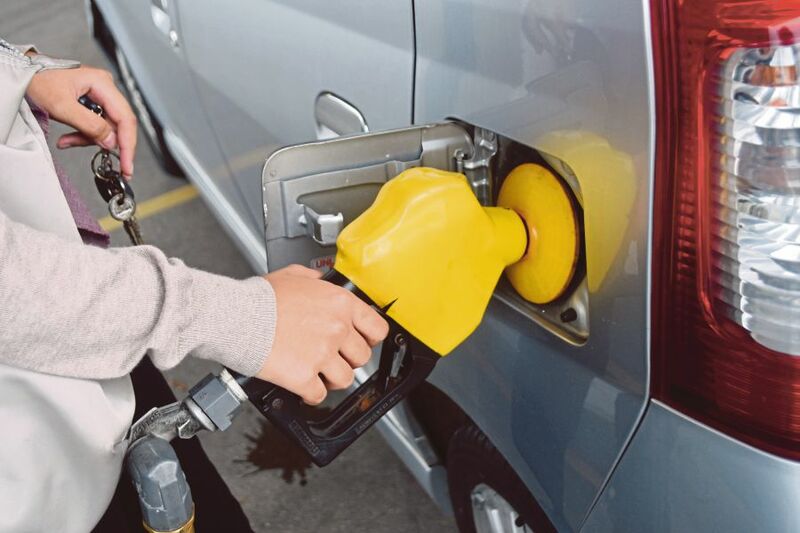 The fuel-price rise will give the government a windfall of RM8 billion. That sum can partially defray the subsidy on pump prices. Critics suggest that a transient spike in fuel price should not be a basis for recalibrating government revenue. However, with geo-political tensions — Trump’s trade war, North Korea’s prevarication on nuclear disarmament, militarisation of the South China Sea, trouble in oil-producing countries in the Americas, and Opec price controls — we can expect the oil-price blip to remain awhile. While the government is on over-drive to ease living costs, it must also have one eye on the side-mirror of market expectations. Markets revel in economies that are unsullied by price controls and subsidies. They rejoice where budget deficits are sustainable. Unsustainable budget deficits, partly on account of indiscriminate subsidies, have damaging effects on an economy. They depreciate the currency, cause inflation and lower real incomes. If financed by huge borrowings, deficits can trigger a debt default. Such a default happened in Argentina and other Asian and Latin American countries in the past. Interest rates will have to rise to curb inflation. Interest-rate rises will make investments costlier. That can depress productivity and wages. Budget deficits, like public debt, impinge on generational equity. Large deficits benefit the current generation while lumbering future generations with debts incurred to finance them. Keynes, an early 20th-century British economist, argued that the long term did not matter. We would all be dead by then. But, the long term matters for our children and their children. We can build market confidence in our economy by the better targeting of subsidies to alleviate the plight of the vulnerable bottom 40 per cent of the population or B40. Blanket subsidies such as petrol subsidies tend to favour the rich more. Any inequity arising from such subsidies must be corrected by higher income taxes on the richer segment of the population — more so, as the income-tax structure was revised downwards upon the imposition of the GST. SST, too, must be better targeted so that the B40 is hurt only minimally, if at all. We must remain vigilant against profiteering. The minister for domestic trade must be urgently appointed to orchestrate initiatives against the racketeers. One-handed decision-making in government is hard. It involves trading off costs and benefits. Solutions come in shades of grey, not in black and white as two-handed economists would have us think. The government has demonstrated that it knows what it is doing. Nevertheless, given the risks and uncertainties ahead, one should “cross the river by feeling the stones”.